Keith Shackleton began his travels early when his family moved to Australia. During the war he served in the RAF and painted war scenes with the Army and Naval Coastal Forces. He then joined the family aviation business for 15 years and painted in his spare time. Eventually the pressure of his own work increased to such an extent that he decided to give up his aviation commitments and paint full-time. Since then Shackleton has worked extensively as a naturalist on the MS ‘Lindblad Explorer’ mainly in the Antarctic where he travelled with his friend, the conservationist and fellow painter, Peter Scott. 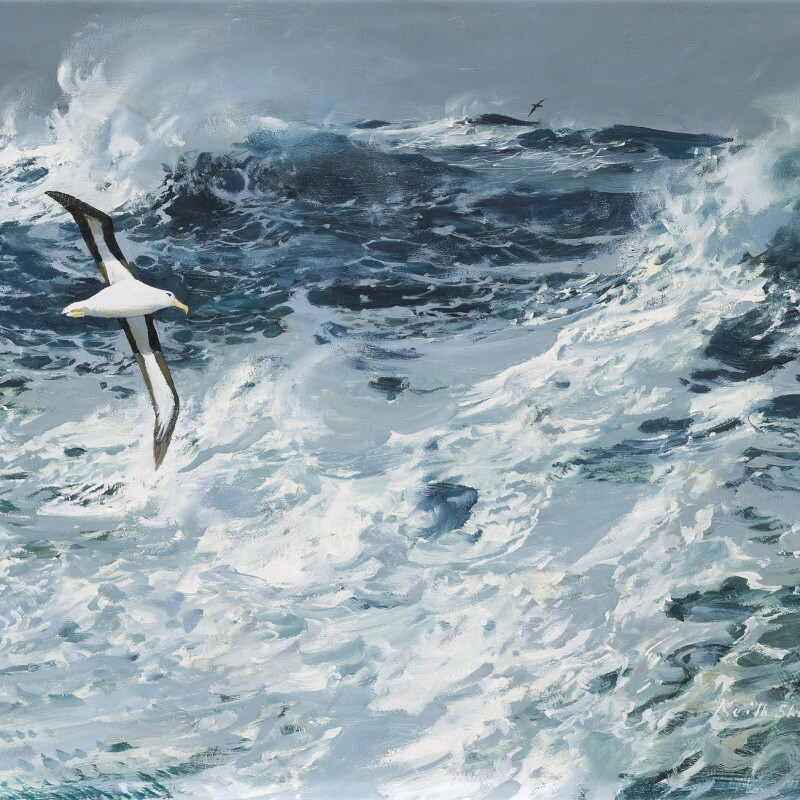 Keith Shackleton was president of both the Royal Society of Marine Artists and the Society of Wildlife Artists. In 1986 he was nominated Master Wildlife Artist by the Leigh Yawkey Woodson Art Museum in Wisconsin. Shackleton’s work has been exhibited in solo and group shows at the Tryon Gallery in 1966, 1968, 2001 and 2007.